Get more done in less time. Sounds too good to be true, doesn’t it? The kind of claim made by one of those infomercials selling a revolutionary new fitness device that promises to take you from overweight coach potato, to highly toned athlete in no time at all. But what if I told you that you can indeed get more done in less time, at least when it comes to UX work. You can do this by being more productive. Not necessarily by working harder, but by working smarter. Here are 10 productivity tips for UX work that I’ve utilised with great success over the years. I find it strange that so many job adverts ask for candidates that are able to juggle multiple projects at a time. If you’ve ever tried your hand at plate spinning, the noble art of keeping a plate continually spinning on a rod, you will know that keeping one plate going at a time is relatively easy. However, it gets increasingly harder the more plates you add to the mix until pretty soon you’ve got plates smashing on the floor all over the place. Just like spinning plates, you should keep the number of projects on the go at any one time to a minimum. Take on too much, and you’ll soon be picking up the broken pieces off the floor. Although it might go against your natural inclination (UXers tend to be a very helpful bunch) you need to be prepared to say ‘No’ to new projects coming in, or at least look at which projects needs to be put on hold to accommodate new ones. Try to focus on one thing at a time, finish what you need to do, and then move on to the next piece of work. It’s also wise to focus on what is most important, not necessarily what is most urgent. After all, if something is urgent but not important, it can probably wait. I’m a big fan of using a Kanban board to track the work that I need to do and to keep a limit on how much I’m doing at any one time. 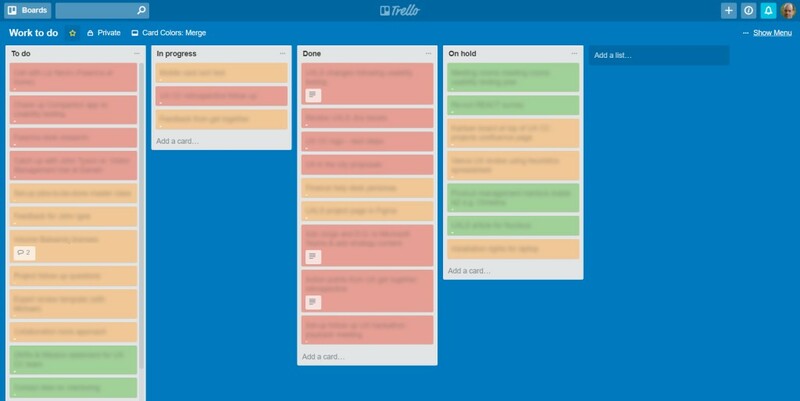 I’ve set-up a simple board using Trello to help prioritise work (red for high priority, amber for medium and green for low) and to keep a record on what I’m doing, have done, and what is currently on hold. If you want to find out more about Kanban, I recommend taking a look at leankit’s free Kanban roadmap ebook. The modern-day world is full of distractions. Emails that must be responded to straight away. Phone calls that must be answered. Tweets that must be read. Facebook posts that must be viewed. I bet a minute doesn’t go by without your phone or laptop badgering you for attention. Poking you in the ribs like a small child and demanding that you ‘play with me’, ‘play with me’. Heck, it’s a wonder that we ever get anything done. Set a countdown timer to 25 minutes. This could be on your phone, or perhaps a cooking timer. Switch off potential distractions. Turn your phone to silent. Switch off email and social media alerts, and change your IM status to ‘Do not disturb’. If you’re in the office and also want to avoid distracting chit-chat with colleagues (ah the joys of open plan offices) it can also be a good idea to find a quiet spot where you can work under the radar. Work 25 distraction-free minutes. Resist the urge to read and respond to emails, to answer phone calls and to respond to messages (unless of course something is super urgent). At the end of the 25 minutes re-connect with the world. See which emails, messages, posts and updates you’ve missed. You can usually do this in 5 mins. 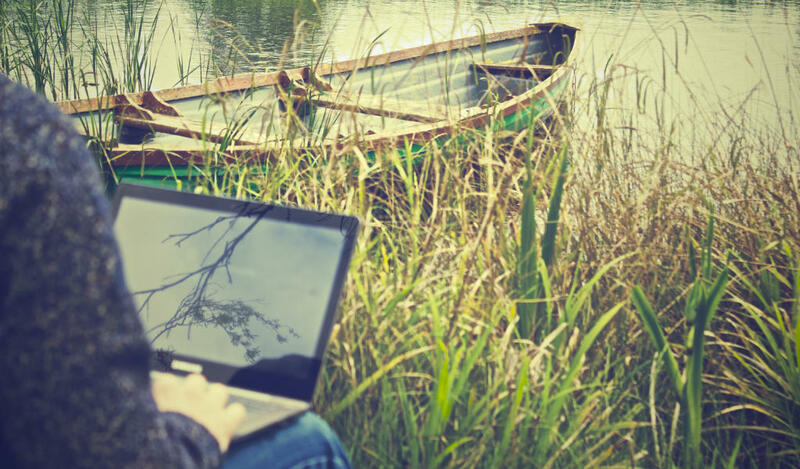 I’ve found that this cycle of 25 minutes of distraction-free work, followed by 5 mins of reconnection time is a great way to get lots done, whilst still being connected to the 24/7 demands of the modern world. I’ve written before about Good enough design – the idea that designs should be as simple as possible and no simpler. Well the same is true of UX work. UX work should be ‘good enough’ to meet your goals, but anything more than that is wasted effort. For example, if you’re coming up with ideas then a quick sketch, rather than a pixel perfect mock-up is likely to be good enough. If you’re evaluating some ideas with users then some wireframes might be good enough, rather than an elaborate interactive prototype. Whether you like it or not, meetings are pretty much unavoidable in most projects and organisations. Team meetings, resourcing meetings, stand-ups, retrospectives, town halls, show and tells, the list goes on. Meetings are of course important for collaboration, but boy, on some days it can feel like you’ve spent the whole day cooped up in meeting rooms (or worse, online on Skype or Webex) without getting any of your actual work done. A great way to prevent meetings from taking over is to set-up and book in your calendar regular meeting-free time. For example, you might set-up a number of meeting free mornings or afternoons each week. Let people know that unless it’s absolutely vital you won’t be available for meetings at that time and try to keep the times consistent from week to week. A moto that I’m sure I must have picked up from Homer Simpson is, “Why do today, what you can put off until tomorrow?”. Unsurprisingly it turns out that in the absence of any deadlines, most things can be put off until tomorrow, meaning that nothing ever gets done. This is why I find it useful to set myself mini deadlines for the work that I do. For example, completing sketches for a UI by the end of the day, or completing sketch personas by the end of the morning. When setting yourself deadlines try to be realistic, but not make it too relaxed, otherwise you’ll either spend too long working on something, or continually put it off. When thinking about deadlines it’s often good to keep a track of minor and major deadlines. Minor deadlines are typically for tasks, such as documenting a user journey or creating scenarios of use. Major deadlines are for hard project milestones, such as completing a prototype prior to usability testing. A good way to keep track of minor deadlines is to set a due date for tasks using your favourite task management tool (I use Trello myself). I typically add major deadlines to my calendar so that I’m aware of when things really need to be done by. 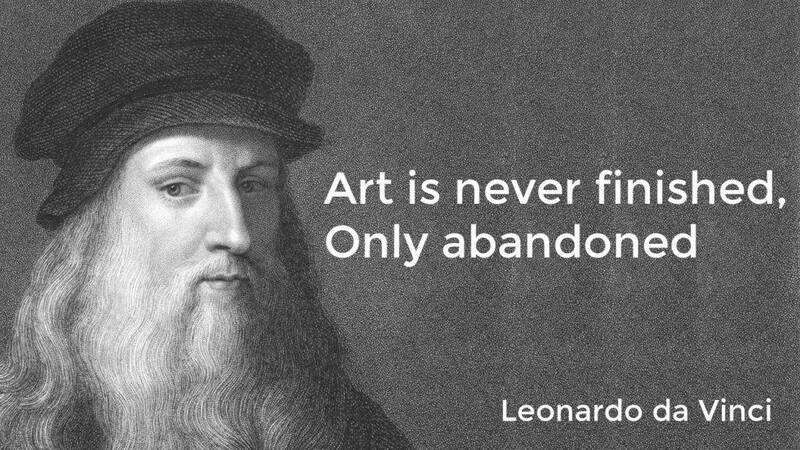 Like one of Leonardo da Vinci’s master pieces, UX work is never truly finished. There are always more insights you can add to personas, more interactions you can add to a prototype, more tweaks you can add to a design. A good way to avoid overworking your UX work is to timebox activities. For example, spending no more than 30 minutes on sketching ideas or spending no more than 2 days on creating a prototype. Give yourself enough time to produce quality work, but try to be relatively aggressive. If at the end of the allotted time you don’t have something you can take forward, you can always give yourself a little bit more time. It’s very, very rare that you should ever have to truly start a piece of UX work from scratch, so don’t unless you absolutely have to. Invariably there will be templates that you can use, existing documents that you can take inspiration from (such as these example UX documents and deliverables), design patterns you can use, and UI libraries that make creating a mock-up or prototype much, much quicker. 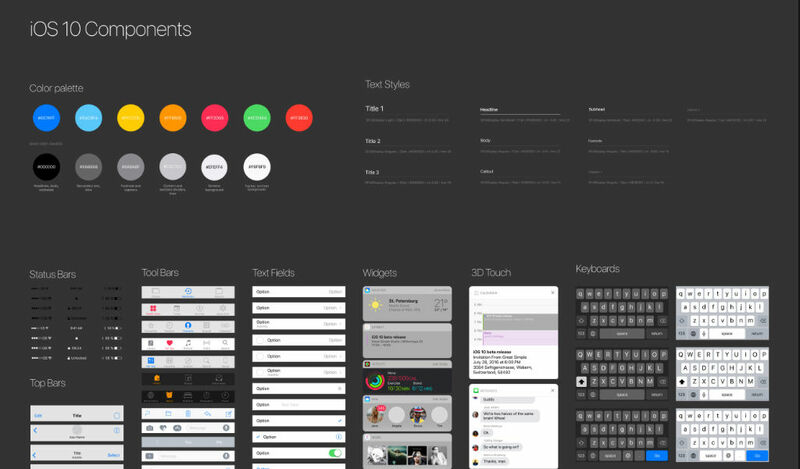 A great place to start for UI libraries are the various UI kits from Great Simple Studio and if you use Axure checkout the Axure templates and widgets from Axemplate. It’s estimated to take at least 10,000 hours of practice to be able to truly master a skill, such as playing a sport or musical instrument. You certainly don’t need to put 10,000 hours of practice into using your design tools of choice (Sketch, Photoshop, Axure, Figma, Framer, Adobe XD etc.) but you’d be amazed at the increase in productivity you can gain from learning how to get the most out of your tools. Using keyboard shortcuts, using masters and styles properly, utilising plugins and generally following good practice such as naming objects and components can really cut down on the time it takes to create designs and prototypes. If Axure is one of your design tools of choice then checkout these 25 tips from a self-proclaimed black belt in Axure (that would be me). Different people naturally have more energy, and are more productive at different times of the day. You’ll no doubt have experienced this yourself. Perhaps you’re a night owl, always the last to leave the office, or a lark like myself, early in and invariably doing your best work first thing in the morning. Get to know your own working body clock and rather than fight against it, work with it. For example, if you know that you work best at the start of the day then set aside your doing time for then.